A Basic Modern Russian Grammar - Все книги - Каталог файлов - Развлекательный сайт! A Basic Modern Russian Grammar — This book is meant both for the learners and the teachers of Russian. 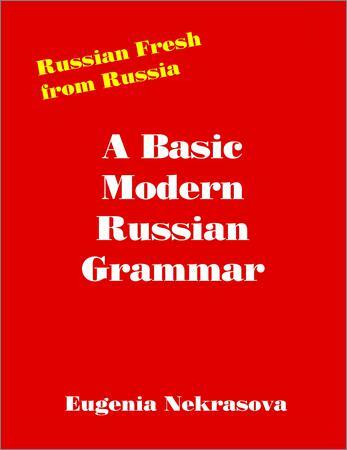 The name of the book speaks for itself: "A Basic Modern Russian Grammar". The attention is focused on the facts of Modern Russian language which are basic, of high frequency and in common use. As most of the learners are not professional linguists the author tried to avoid unnecessary linguistic terms. The explanations, charts and presentation of grammar material enable the learners of Russian understand some practical mechanisms of the language in a certain logical order. The teachers of Russian can use it in their practical work. Данная книга предназначена как для учеников, так и для учителей. Название книги говорит само за себя: "Основы современной русской грамматики".